We all have that something that helps us get up in the morning. For most of us, it’s coffee. And what better place to wake up and get coffee than Paris? One of our writers, Lena Mobin, who has been living in Paris for the past few months has fallen in love with the cafe scene there. She has made a point to try as many coffeeshops as she can throughout the city. Here is a list of her top 8 favorite coffee shops. They each bring something special to the table. This is a must see on your trip to Paris. 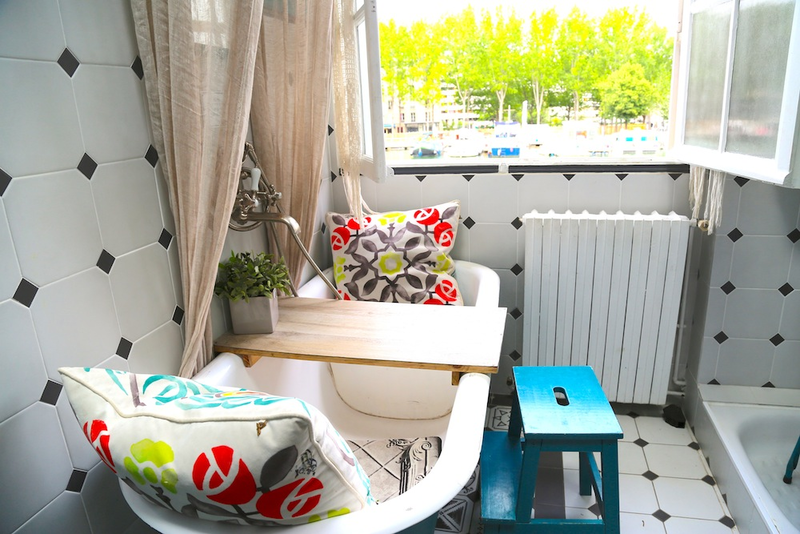 The adorable cafe-bar-restaurant house is set in front of the Bassin de la Villette and feels like something out of Pinterest. You can enjoy your drink outside by the bassin, on the typical cafe-like first floor, or in one of the many homey rooms upstairs. Each room on the second floor is designed to look like something you’d find in a house. There is a kitchen, two bedrooms (where you can eat on the beds), a dining room, and even a bathroom. The best part is sipping on your drink in the bathroom tub! There are endless events held here too such as yoga, free massages, tattoo nights, and more. Check out their website for a list of the activities. Loustic located in Le Marais, the most fashionable area in Paris, is just as fashionable as the area it is in. The shoe-sized coffee shop has must-try delicious coffee imported from Belgium. The workers here are serious about their coffee so you’re in for a treat. Coincidentally, Loustic, which means “smart Alec” in old Breton, is a great place to read or get some work done too. Best place to grab breakfast in Paris. This restaurant has coffee to die for. Holybelly is known for having great food, great music and friendly service. Make sure to stop by here for a near perfect brunch. Animal or cat person? This is the cafe for you. Munch on some pastries while getting some kitty love. Everything is homemade and guaranteed to be delicious. Le Café des Chats is a restaurant and tea room where cats roam around freely. Customers are encouraged to interact with the cats as they sip on an organic tea or the amazing, thick hot chocolate. Plus the company of a cat makes it all better. The best part is knowing some of profits of the cafe go to a feline protection program. Here’s the healthy option for those health nuts out there. 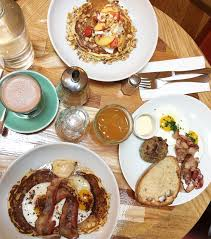 This cool coffee shop, frequented by hipsters, has a variety of juices and home-made organic meals to pick from. The baristas here know their coffee too. The atmosphere is cozy with a Scandinavian spirit. Right in the heart of La Marais, this former garage transformed into a coffee shop is the definition of cool. The trendy cafe has a food truck and artisanal drinks. Make sure to try their signature Belgium sandwiches. This unpretentious coffee shop is not only passionate about what they’re making, but knows how to do a good job at it. They have highly rated drinks and awesome cakes to go along with them. The lovely terrace and lounge style seating make for the perfect place to read a book.